Rainy season has arrived in Japan and let me just say, humidity is gross. Also, with it, terrifying scarecrows have emerged. If there isn’t already a horror film based on Japanese scarecrows then the industry is definitely in it’s lows. That rhymed. Did you notice?! Anyhow, I am literally drowning in vegetables so I whipped up this delish roast vege salad to take for lunch tomorrow. 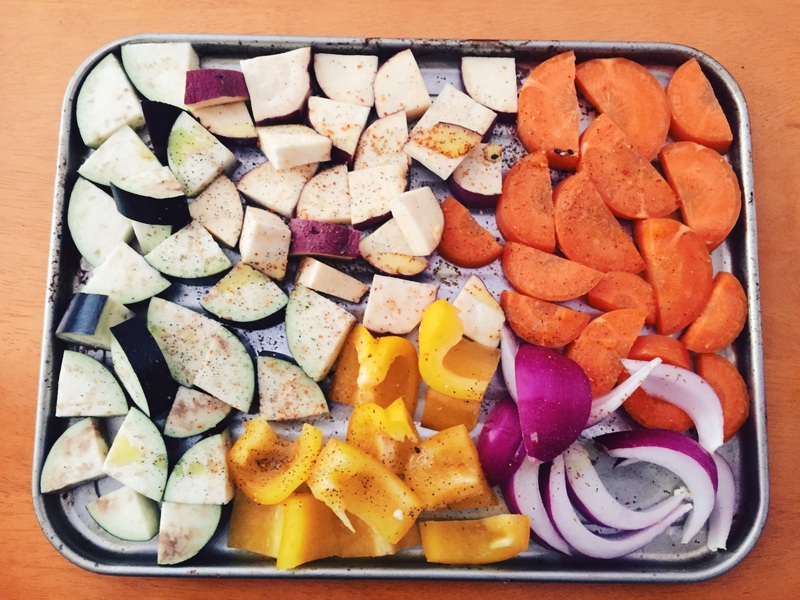 Wash and chop veggies into small pieces. In a small bowl, whisk together dressing ingredients until well combined then mix through roasted veggies.